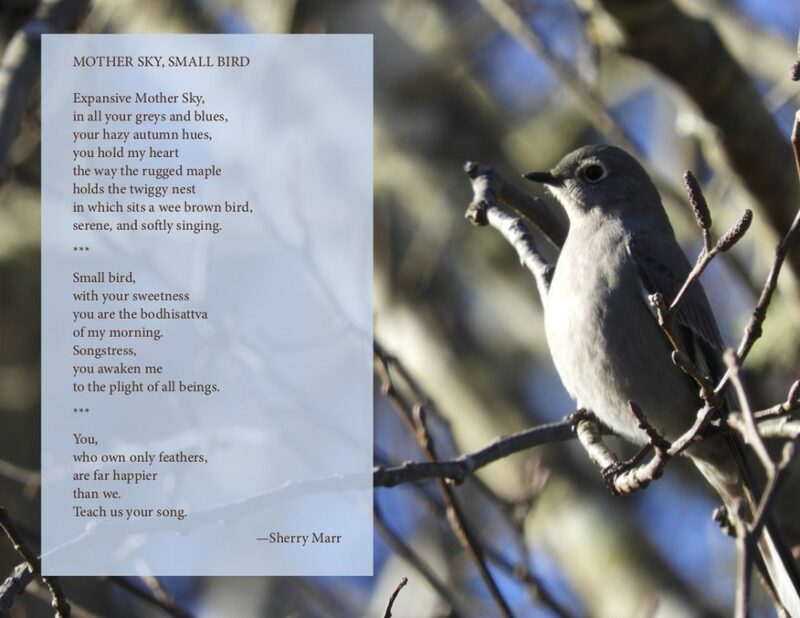 Tofino is blessed with some diehard poetry lovers, but few as dedicated as Sherry Marr. Sherry is the grandmother of the Clayoquot Writers group. She is the poetry lover who will stand out in the rain to hear someone read. She is the poetry lover who will cheer every poet and find the good in every poem. Every poet needs a Sherry in their fold. Every community needs one too. Sherry Marr lives in and is constantly inspired by the beauty of Clayoquot Sound. She is a member of the Clayoquot Writers Group, and is haunted by the spirit of a black wolf, her companion of fourteen years, now in the spirit world. Sherry writes daily at stardreamingwithsherrybluesky.blogspot.com . 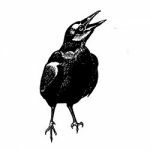 Oh, Joanna, you made my small bird take form, and life, and she looks so sweet! Thank you so much for your kind words, and for making my humble poem take wing. This made my day! Your small bird is just so adorable! So happy you like it, Sherry.